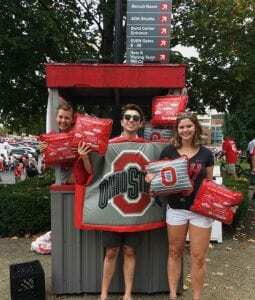 Stater SCCDAP Saturdays | Ohio Staters, Inc.
It’s football season!! Now it’s time for field goals, tailgating, and, most importantly, the oldest service organization on campus! If you’re planning on being at the Shoe on any Saturday this 2018 season, swing by one of Ohio Staters, Inc. three booths, located north, east, and south of the stadium, to say hi and to check out this year’s array of fundraising wares! 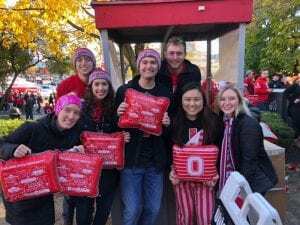 We’ve got every gameday covered with our seat cushions, ponchos, and handwarmers, and every dollar you share goes into the scholarships and projects we fund each year. We hope to see you there! Swing by a Stater booth before any home football game this season! 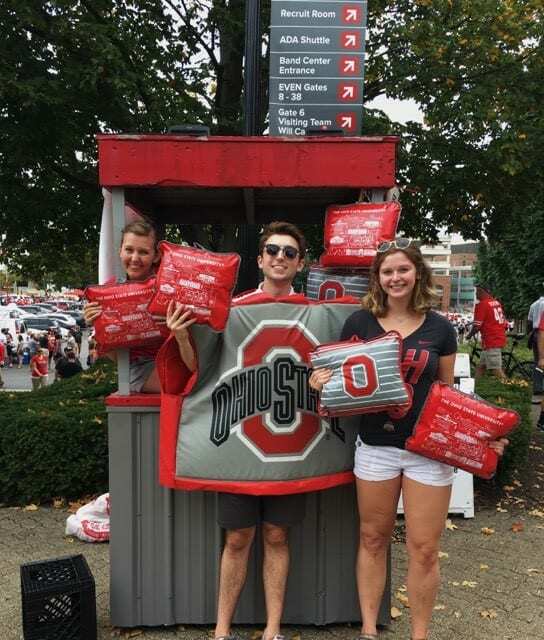 Rain or shine, snow or wind, we will be there outside the Shoe manning our Stater booths!